The president signed executive actions today declaring that it is the policy of the United States to "prevent the admission of foreign nationals who intend to exploit United States immigration laws for malevolent purposes." Quick take: The ban on Syrian refugees entering the U.S. has no end date. Other refugees have a temporary ban. There is a refugee-admission ceiling set at 50,000 for fiscal year 2017. (Note that Obama planned to admit 110,000 for fiscal year 2017.) There are exceptions for religious minorities if they are fleeing religious persecution. The visa restrictions: The Secretary of Homeland Security, the Secretary of State, and the Director of National Intelligence will determine which countries don't report enough information for the U.S. to make a decision on whether visa applicants pose security threat to the U.S. The Visa Interview Waiver Program is suspended, so all individuals seeking a nonimmigrant visa will need to do an in-person interview. This will expand the Consular Fellows program with the State Department. The temporary refugee admission ban lasts for 90 days: Trump has banned entry to the U.S. for refugees and people coming from the following countries from 217(a)(12) of the Immigration and Nationality Act (INA), 8 U.S.C. 1101. The White House did not detail which countries this concerns, but the draft documents from earlier this week suggest this ban may apply to seven Muslim-majority nations: Iran, Iraq, Libya, Somalia, Sudan, Syria and Yemen. Update: On Saturday a U.S. federal law enforcement official confirmed to the AP that non-U.S. citizens from these countries will not be allowed into the U.S. for 90 days after Friday. This includes green card holders and visa-holders who are out of the U.S. after Friday. A 120-day suspension on the U.S. Refugee Admission Program (USRAP): The Secretary of State will determine what procedures should be used to ensure no refugees pose a threat to national security in 120 days. Refugees who are already in the process can expect to wait 120 days to continue their processes. On the Syrian refugee ban with no end date: "I hereby proclaim that the entry of nationals of Syria as refugees is detrimental to the interests of the United States and thus suspend any such entry until such time as I have determined that sufficient changes have been made to the USRAP to ensure that admission of Syrian refugees is consistent with the national interest." About that biometric tracking system: The executive action calls for this to be expedited. Note there is already a biometric tracking system in place. 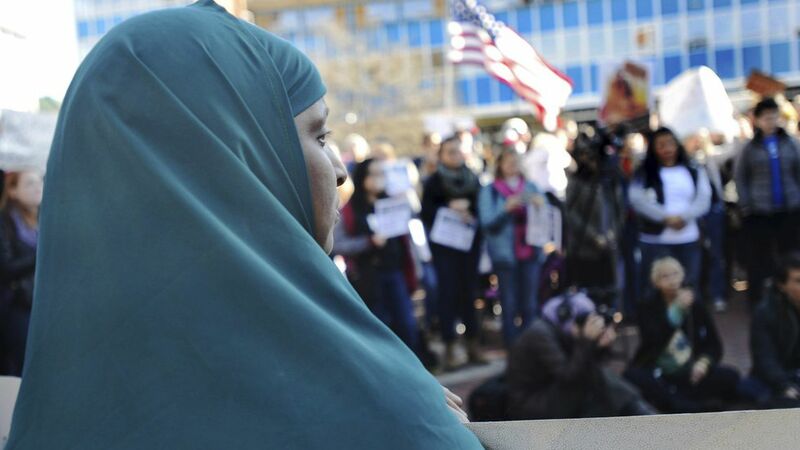 What to watch for: Reports on the progress of these vetting measures in 30, 60, 90, 100, 120, 200, and 365 days, as well as reports on the number of foreign nationals in the U.S. who have been charged with terrorism-related offenses while in the U.S.
Trump signed another immigration executive action yesterday so that the government will publish a list of crimes immigrants commit on a weekly basis.